College tax credits are an important part of your college financial aid plan. Even if you are not in a high tax bracket, a tax credit may help pay for college. The American Opportunity Tax Credit is good for 2018 and 2019. Read more about tax credits and deductions for college, including some recent changes from the Tax Cuts and Jobs Act (TCJA), signed by President Trump for 2018 and beyond. Everyone loves to save on income taxes. One way to help pay for college expenses is to leverage tax incentives, like tax deductions and credits for college expenses. The tax laws change every few years, with new college tax credit and deductions, and incentives to save for college. Don't forget to claim your student tax credit! Here are some of the most popular education tax credit and deductions. You cannot take the American Opportunity Tax Credit, the Lifetime Learning Credit, and tax deductions for tuition and fees in the same year. If you use TurboTax from turbotax.intuit.com , a popular tax preparation software, it will automatically figure out which of these college tax credits or deductions is best for you. President Obama wanted to make college affordable for everyone. As part of the American Recovery and Reinvestment Act of 2009, the American Opportunity Credit provides up to $2,500 for each eligible college student per year. 40% of this is a refundable credit, meaning you can receive $1,000 even if you owe no taxes. Typically this is used for college students who are dependents on their parents return, or adults over age 24. Students may claim this credit if you are over age 24 as long as you meet the other requirements, e.g. are not claimed as a dependent on someone else return, are attending a degree program half-time or more, and have not already completed four years of college. If you don't meet these criteria, you will probably be eligible for the Lifetime Learning Credit (see below). The American Opportunity credit is phased out for single taxpayers with incomes between $80,000 and $90,000, or ($160,000 to $180,000 for married joint filers). You must be attending a degree program at least half time during your first four years of college. When does the American Opportunity Tax Credit expire? The American Opportunity Credit started in 2009 and has been extended to include tax year 2018. The Tax Cuts and Jobs Act (TCJA), signed by President Trump at the end of 2017, did not change the American Opportunity Tax Credit for 2018 and forward. Another popular U.S. college tax credit is the Lifetime Learning Credit. The tax credit allows a taxpayer to deduct 20% of college tuition and fees, up to $10,000, which can equal a $2,000 tax credit. The credit may be used for taxpayer, spouse and dependent children. In 2017, the Lifetime Learning Credit is phased out for single taxpayers with incomes between $56,000 and $66,000, or ($112,000 to $132,000 for married taxpayers filing jointly). Unlike the American Opportunity Tax Credit, this Lifetime Learning Credit does not require the student to be studying toward a degree, enrolled at least half-time, or limit on number of years it may be taken. The Tax Cuts and Jobs Act (TCJA), signed by President Trump at the end of 2017, did not change the Lifetime Learning Credit for 2018 and forward. The Tax Cuts and Jobs Act (TCJA), signed by President Trump at the end of 2017, did not extend the Tuition and Fees Tax Deduction for 2018 and forward. This expired at the end of 2016. It cannot be used for 2018 or 2019. In 2016, this benefit allows college Tuition and Fees to be deducted even if you did not itemize your deductions, up to $4,000 of college tuition and college expenses for you, your spouse or dependents. In 2016, the tuition and fees tax deduction maximum is $4000 for modified adjusted gross income less than $65,000 (or MAGI $130,000 joint filers). 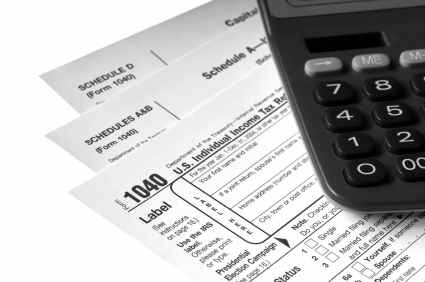 Tax deductions are limited to $2,000 for single taxpayers with modified adjusted gross incomes between $65,000 and $80,000, or ($130,000 to $160,000 for married taxpayers filing jointly). The Hope Tax Credit is not available in 2018 or later. This Hope Credit or Hope Scholarship Credit as it is sometimes called, expired after 2009. It was replaced with the American Opportunity Credit (see above).